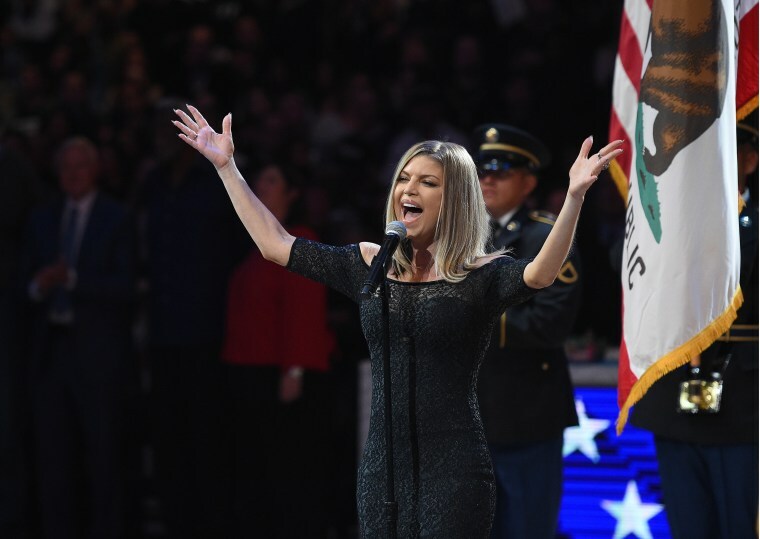 Fergie has responded to the general reaction to her version of America's National Anthem, which many felt strayed too far from the original. In a statement released to TMZ, the singer acknowledged that her interpretation, which featured quite a bit of ad-libbing, might have missed the mark. "I’ve always been honored and proud to perform the national anthem and last night I wanted to try something special for the NBA," she said in the statement. "I’m a risk taker artistically, but clearly this rendition didn’t strike the intended tone. I love this country and honestly tried my best." Still, at least one fellow icon doesn't think Fergie has anything to apologize. In an interview with TMZ earlier today, Mariah Carey advised the singer not to worry about the responses, wisely telling a reporter "Darling, no one needs to listen to that!"